Twelve year old Benjamin Bubis, with his mother Yelena Bubis, recalls riding with his grandfather, Boris Hutorin who had a stroke as he was driving. Benjamin was able to maneuver the car to the side of the road, call 911, and get his grandfather the help he needed. CANTON — Twelve-year-old Benjamin Bubis was on his way to soccer practice Tuesday afternoon, traveling along Interstate 495 with his grandfather, when he suddenly realized something was wrong. He was talking to his grandfather. But 71-year-old Boris Hutorin didn’t respond. Then, the car slowed down. “I saw that the car was starting to slow down a little, and he kinda got out of control a little bit on the road,” Benjamin said calmly. That’s when Benjamin sprang into action. He called his mother, Yelena Bubis, who told him to call 911. While dialing 911, Benjamin grabbed the wheel and steered the car safely to the side of the busy highway. Emergency vehicles from the Southborough Fire Department arrived five minutes later. Benjamin said the experience left him shocked and afraid. “I thought it was a dream,” he said. Hutorin had suffered a stroke. He was taken to the UMass Memorial Medical Center in Worcester. Doctors administered the stroke-busting drug called tissue plasminogen activator, according to a statement from the hospital. Dr. Ajit S. Puri performed a thrombectomy procedure on Hutorin, who lives in Norwood. Puri was able to use a stent-like device to remove the clot. 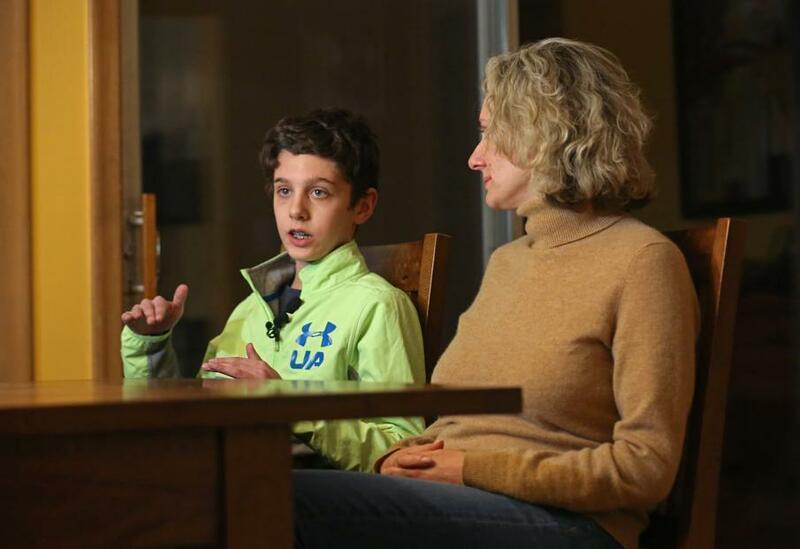 Puri credited Benjamin, a seventh-grader at Galvin Middle School, for his quick response. Hurotin is progressing well, Yelena Bubis said.